A633 South Yorkshire both ways severe disruption, between Roy Kilner Road and Barnsley Road. A633 South Yorkshire - A633 Mitchells Way in Wombwell closed in both directions between the Roy Kilner Road junction and the Barnsley Road junction, because of a police incident. Traffic is coping well. 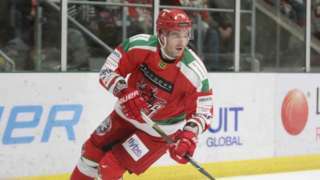 Cardiff Devils battle back from 5-1 down against Sheffield Steelers to go into Sunday's Elite League quarter-final second leg with hope of reaching the Play-off finals. A633 South Yorkshire both ways severe disruption, from Roy Kilner Road to Barnsley Road. A633 South Yorkshire - A633 Mitchells Way in Wombwell closed in both directions from the Roy Kilner Road junction to the Barnsley Road junction, because of a police incident. Traffic is coping well. Sheffield United return to the automatic promotion places following a narrow win over Preston North End. 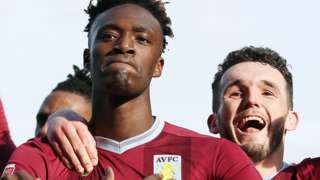 Aston Villa score two goals in stoppage time at Sheffield Wednesday to win a sixth straight Championship game. Burton make it three wins in a row as they put a big dent in Barnsley's promotion push. Bottom club Bradford's League One survival hopes suffer another blow as Doncaster consign them to a fifth successive defeat. 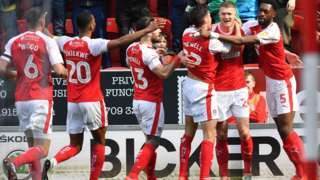 Rotherham boost their Championship survival hopes with a gutsy victory over play-off chasing Nottingham Forest. M1 South Yorkshire southbound severe disruption, from J35 for A629 Cowley Hill Rotherham to J34 for A631 Tinsley Viaduct. M1 South Yorkshire - One lane closed on M1 southbound from J35, A629 (Rotherham) to J34, A631 (Meadowhall), because of a broken down vehicle. Traffic is coping well. M1 South Yorkshire northbound severe disruption, between J32 for M18 and J33 for A630 Catcliffe. M1 South Yorkshire - One lane closed on M1 northbound between J32 M18 and J33, A630 (Catcliffe), because of a broken down vehicle. Traffic is coping well. M18 South Yorkshire northbound severe accident, from J6 for A614 Selby Road to J7 for J35 M62. M18 South Yorkshire - One lane closed on M18 northbound from J6, A614 (Thorne) to J7 J35 M62, because of an accident. Traffic is coping well. M1 South Yorkshire southbound severe disruption, from J31 for A57 Worksop Road Sheffield to J30 for A616 Worksop. M1 South Yorkshire northbound severe accident, from J32 for M18 to J33 for A630 Catcliffe. M1 South Yorkshire - One lane closed and queuing traffic on M1 northbound from J32 M18 to J33, A630 (Catcliffe), because of an accident. 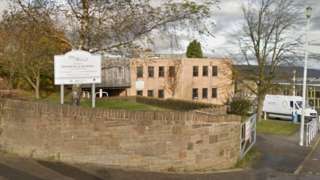 Bradfield School's financial position has been described as 'poor and worsening'. M1 South Yorkshire southbound severe disruption, at J34 for A631 Tinsley Viaduct. M1 South Yorkshire - M1 lane closed on exit slip road and slow traffic southbound at J34, A631 (Meadowhall), because of a broken down vehicle. M1 South Yorkshire - One lane blocked and slow traffic on M1 southbound from J31, A57 (Sheffield) to J30, A616 (Worksop), because of a broken down vehicle. A6109 South Yorkshire both ways severe accident, from M1 J34 to Meadowhall Way. A6109 South Yorkshire - A6109 Meadowhall Road in Wincobank closed and very slow traffic in both directions from Meadowhall to the Meadowhall Way junction, because of an accident. M1 South Yorkshire southbound severe disruption, between J33 for A630 Catcliffe and J32 for M18. M1 South Yorkshire - One lane closed on M1 southbound between J33, A630 (Catcliffe) and J32 M18, because of a broken down vehicle. Traffic is coping well. M1 South Yorkshire - Two lanes closed and slow traffic on M1 southbound from J31, A57 (Sheffield) to J30, A616 (Worksop), because of debris on the road. Matrix sign set to 40 mph.